Our range of products include two stage compressor. 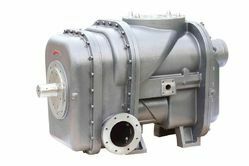 For the purpose of quality standardization, the offered Two Stage Compressor is manufactured in accordance with the set industry norms and guidelines. Owing to the finest raw materials and modern machines used in its making, the offered product provides a commendable functionality and a superior functional life. Looking for Two Stage Compressor ?